Mike Mickels has been serving clients in the financial services industry for over eight years. Prior to joining the firm in 2013, Mike worked at Charles Schwab. 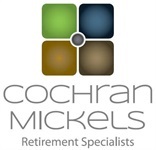 Extensive experience in operations management, business-to-business sales, and customer service, Mike is proud to bring his invaluable expertise to CochranMickels Retirement Specialists. Holding series 6 and 63 securities licenses, Mike regularly assists clients in business development and risk mitigation. Outside of the office, Mike enjoys spending time with his wife of 38 years, Laura, and is an avid sporting clay's competitor. Honest, diligent, and hardworking - Mike still lives by a lesson he learned from his mom that, good things come to those who work hard. 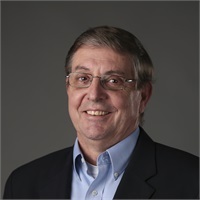 Passionate about helping the elderly in Huntsville Alabama, Mike regularly donates his time and resources to Care Assurance System for the Aging and Homebound (CASA) of Madison County. Mike is also a member of Douglas Masonic Lodge No. 153 A.F.&A.M.